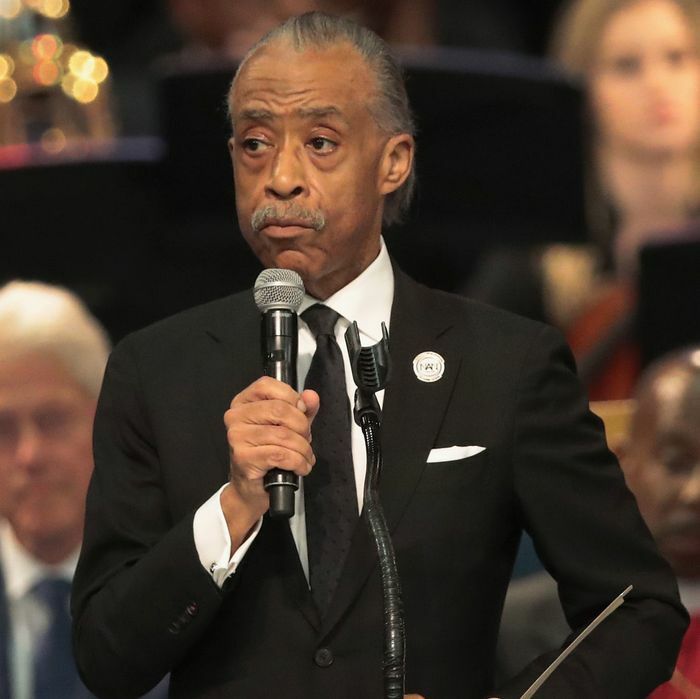 While former president Barack Obama was unable to attend Aretha Franklin’s funeral — a star-studded affair held Friday morning at the Greater Grace Temple in Detroit — he paid his respects to the Queen of Soul in a letter that was read during the service by the Reverend Al Sharpton. Read Obama’s letter in full below. Michelle and I express our heartfelt sympathies for all of those who gathered in Detroit and we join you in remembering and celebrating the life of the queen of soul. From a young age, Aretha Franklin rocked the world of anyone who had the pleasure of hearing her voice, whether bringing people together through thrilling intersections of genres or advancing important causes through the power of song. Aretha’s work reflected the very best of the American story, in all of its hope and heart, its boldness and its unmistakable beauty, in the examples she set both as an artist and a citizen, Aretha embodied those most revered virtues of forgiveness and reconciliation. While the music she made captured some of our deepest human desires mainly affection and respect. Through her voice, her own voice, Aretha lifted those of millions inspiring and empowering the vulnerable, the downtrodden, and everyone who may have just needed a little love. Aretha truly was one of a kind and as you pay tribute know we will be saying a little prayer for you and we’ll be thinking of all of Aretha’s loved ones in the days and weeks to come.